At the moment - new job at another mine site it taking a lot of my spare time so in short, not yet (but looking) and spending available time with the family. 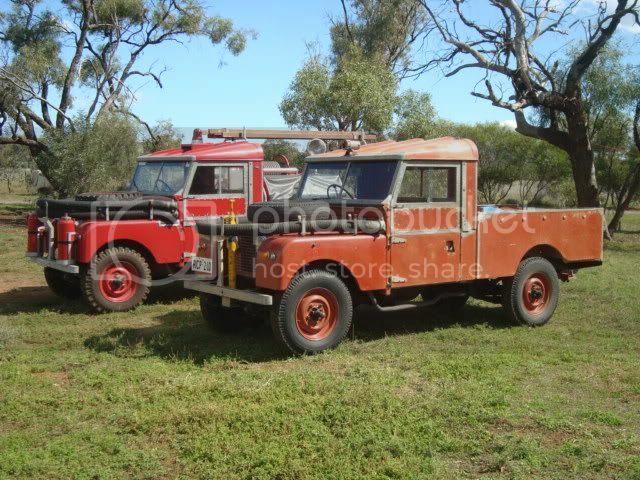 First one - ex army fire service - but was used as a CFS vehicle at the old township of Kingoonya. 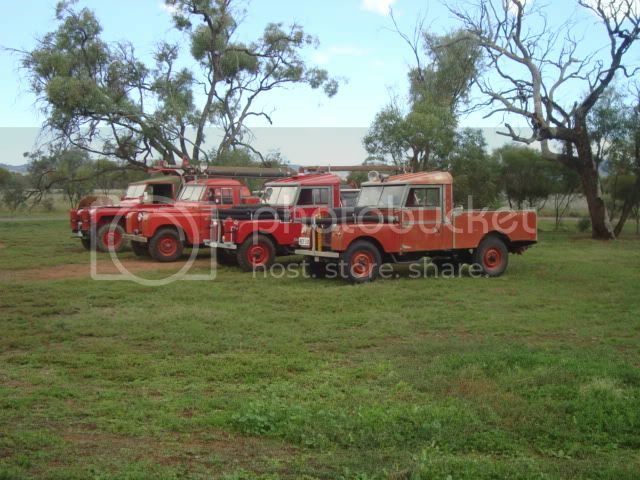 Both fitted with AMAG rear PTO driven fire pumps with 300lt water. Well after a break and change of jobs I am back to check out the website. So you dedicate 10+ years to something which is a big call as it impacts on your work, family and social life especially if you're in a busy brigade. So the CFS decide to show a bit of appreciation, what a nice thing to do. I'd place a bet all you on here that are having a cry will still be lining up at your stations to receive it! I have been a CFS members for 25 plus years and one of our long term members received a 60 year award - all I have to say is well done to those whom deserve it. All the best - and enjoy the trip away. For those whom dont already know me, I work in the private sector and our starting package is around the 20-30k highter plus and far less responsibility. I canot speak for the MFS - but I believe this is wrong. I know of only three people within the technical services side of CFS whom are involved with truck designs are all volunteers as well. With this in mind our rolls have become quite diverse - and I except the need for specalist vehicles for some brigades. Thanks - I will pm you as I have a few additional questions. I have been working for the Mining Industry for quite a few years - and we would also be classed as a "Private Fire/Rescue/Medical Service". And no one in the fire industry will ever sell there equipment to the mines, they rather lease to have the income and the mines rather lease so they can claim on tax. 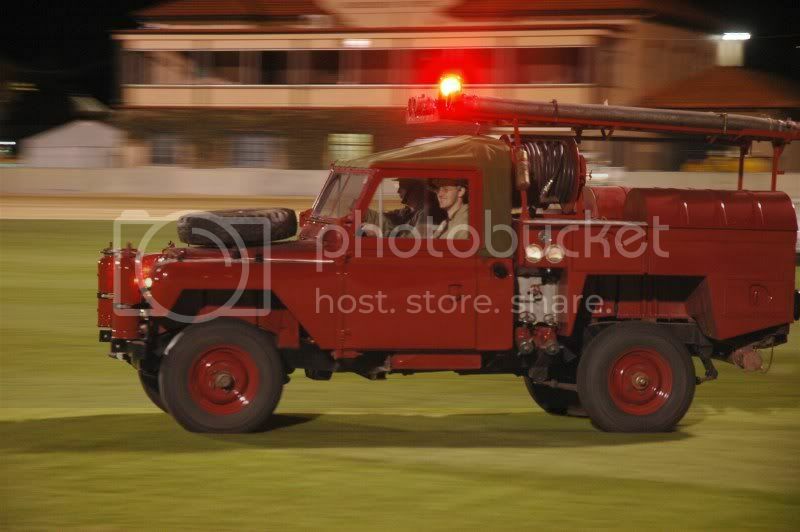 We have NEVER had emergency vehicles under leasing arrangments - they have always been bought out right. It is difficult to read and understand ones context, with so many contradictions and incorrect statements. It does scare me with what has been said - reading between the lines your a private organisation working in conjunction with CFS & MFS - my question whom pays for this service as keeping trucks & trained personal is not cheap? but the money is not that good here in SA when you look at what they get interstate.. 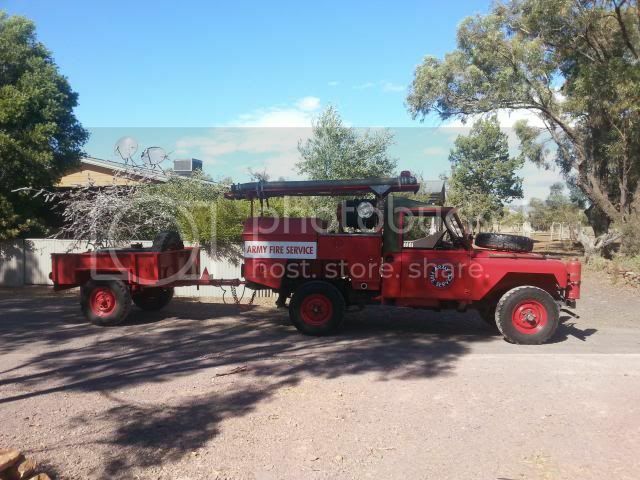 I have heard they wanted to give this vehicle to some one whom was going to restore it - do you have any contacts at Birdwood we could spreak to?. 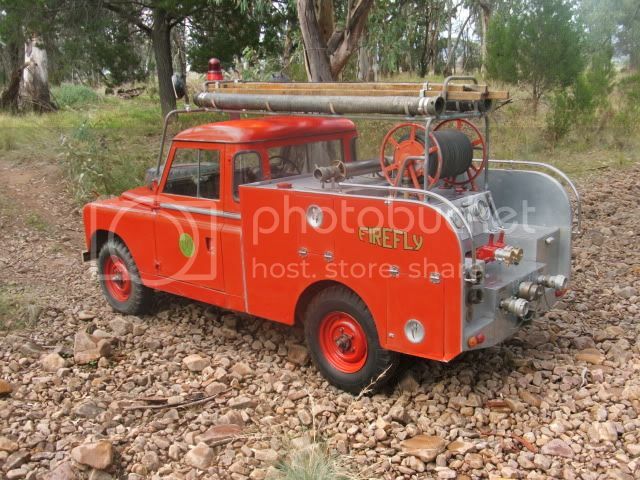 Also within your collection do you have any pictures of "Ex Gumaracha Car 1"
Blinky I am sure some thing can be arrange regarding releasing appliances for the fire engine run - will bring it up at the next meeting on the 11th November. On a positive note - its a huge saving in our family. Seen more of the wife and kids in the past few weeks as they are not travelling to horse events most weekends. One thing I am anoyed with - the media seem to be indicating the ban on horses in SA has been lifted - but not really true. The Poney Club association has banned most event's until further notice, and I like there thought process. Unless I am mistaken - you still canot move your horse around SA unless you get permission - and large gathering of animals like show are also not allowed. I think there is still major restriction in place for SA - Just noticed alot of the smaller country shows have cancelled all there horse events. I know the Quorn show (this weekend) and Wilmington (Following weekend) have had to cancel all horse events. This is going to have a huge effect on these country shows - as majority of there crowds are horse related people. So please if you get the chance please still suport your country shows where possible durring this difficult time. This is a political touchy subject SES/CFS etc. I beleive there is a place for both services - but in smaller communities its a huge drain on volunteer numbers, and has the potiential of generating power plays between services. There is still quite a few still waiting for there PBI. Why dont you apply for the job with WES - its not a real active place but its a good starting point within the carrer as an Emergency Services Officer. I know for a fact with the amount of mining activities within SA ( and the money they are offering) they are having trouble getting people with qualification, give it a try. have a go - apply. Well done Darius - I agree the VFBA is only as strong as its supporters. The VFBA through my life time as managed to achieve some wonderful things - but please take into consideraton Rome wasnt built in a day. 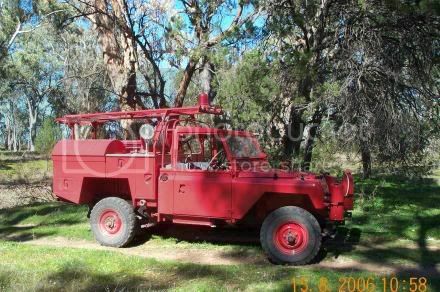 SACFS Vintage Appliances / Re: Series IIA 1964 Land Rover Fire Engine. 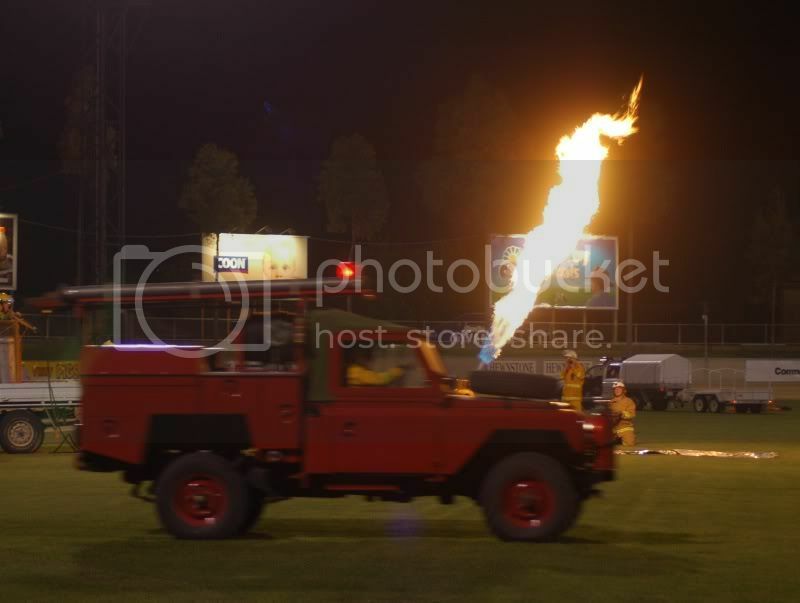 Been a bit slack - the restoration is complete and it was used in the 15 minute of flame event at the Adelaide Show. Many thanks to ashes for the pictures.